If you are suffering from pain in your leg or back then you can choose from various types of treatments including surgical, non-surgical and medicinal etc. to get it relieved. But, due to side effects and post-surgery issues people today try to opt for non-surgical procedures like spinal decompression therapy. In this article, we are going to discuss about this therapy and its effect on your physical pains in brief, so that you can get rid of your problem without any side effect and after effects. 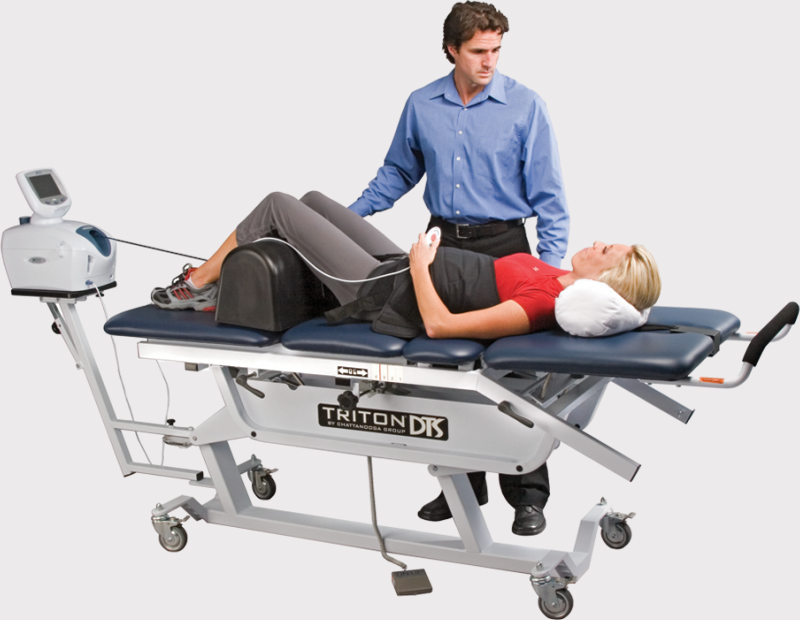 Spinal decompression therapy is a non-surgical process to relieve pain in leg or back. It does not cause any harmful side effect like caused by the surgical spinal decompression processes like microdiscectomy and laminectomy. In this therapy a traction table or some motorized device is used to stretch the spine to relieve the pain in the leg or back. Certain basic principles offered by the properly trained and experienced health care professionals like osteopaths and chiropractors are followed while using the devices for spinal decompression therapy. In order to relieve pain and providing a suitable environment for healing the degenerating, herniated or bulging discs, they use both the therapies, decompression and stretching, simultaneously. To get various benefits, the therapy of spinal decompression is applied to the spine as a kind of traction therapy. It can help in repositioning the bulging or herniated disc as well as promoting retraction by creating a negative pressure within the discs. It can also help in creating a low pressure in the disc so that the nutrients and other important healing elements can be inducted into it easily. Though the basic theory of the spinal decompression therapy is generally considered valid but still its effectiveness can be doubtful due to the lack of any clinical evidence. Also, there can be some possibilities of risks. Though some studies conducted by different chiropractors and health care providers have ensured the effectiveness of the spinal decompression therapy. To prove the level of effectiveness of spinal decompression as compared to inexpensive manual methods used for treating injured herniated discs or back pain, insufficient evidences are available till date. The review of a recent medical journal has shown that the trials made in the clinics to evaluate the effectiveness of the spinal traction or spinal decompression mainly depends on the experience of the chiropractor. Normally they are not able to give a statistically proven result as their tests are not conducted on enough number of subjects. Also, the patients do not know about the treatment provided to them. Thirdly the effect of this therapy is not compared with the results of some other similar or alternative therapy.